The continuing fascination with Gnostic Christianity has stimulated the translation of a vast range of Gnostic texts with both popular and critical commentaries. 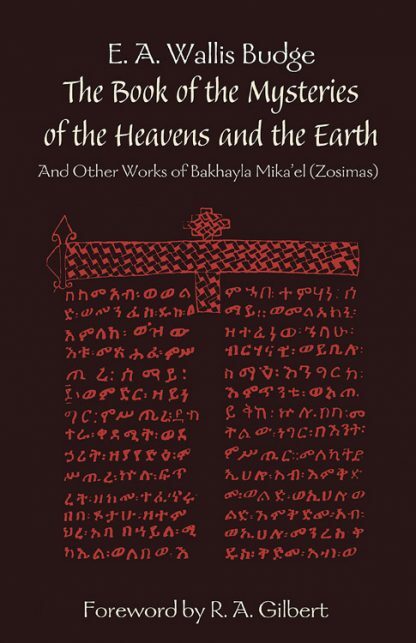 But the later texts of the Coptic Church remain virtually unknown outside a small circle of scholars, even more so in their Ethiopic versions. One exception is The Book of Enoch, but Enoch does not stand alone. Associated with it is an even stranger and more complex apocalyptic work, The Book of the Mysteries of the Heavens and the Earth, which is believed to have been revealed by the Archangel Gabriel in the 15th century. It was introduced to the Western public in 1935 by Wallis Budge. This edition also includes an interpretation of St. John's apocalyptic vision, a discourse on the Godhead and the Trinity, and a discourse on the birth of Enoch. A new foreword by R.A. Gilbert explains why this book is of particular interest to all students of the occult and Enochian magic.